Happy 1 year anniversary to my blog! :) Time sure flew by. All I can say is that it’s been a fabulous year documenting the foods I made! I’ve been lacking in the crafts area, though–Must work on that. 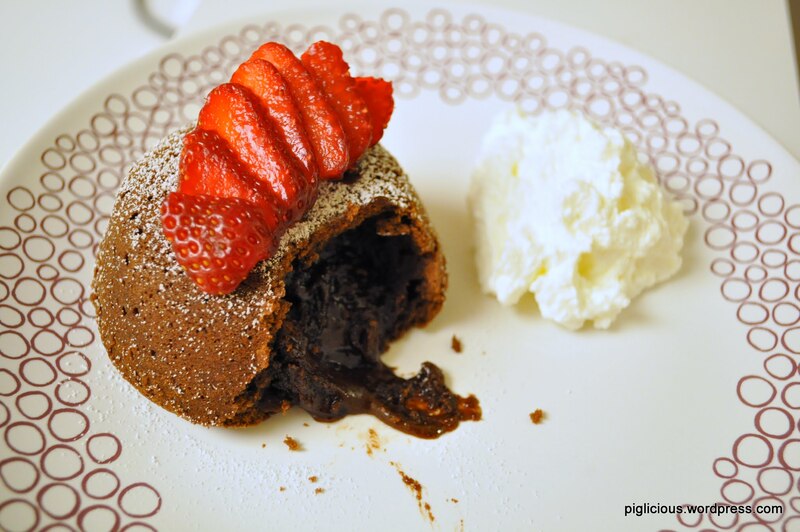 I can’t think of a better way to celebrate than with a molten chocolate lava cake! 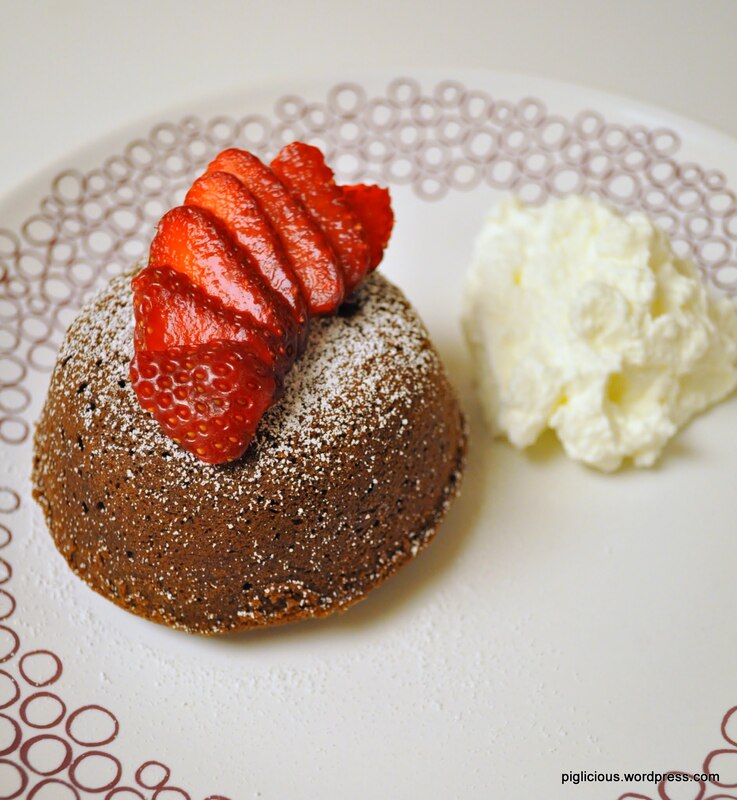 So I had a chocolate craving the other day and had to engorge myself in this simple chocolate molten cake recipe. Although, (I’m not gonna lie..) I’ve had better at a few restaurants, but it’s definitely a great way to satisfy your cravings if you’re stuck at home and want it asap!!! Microwave the chocolate and butter in a large bowl on high for 45 secs, (depends on your microwave wattage) until the butter is melted. 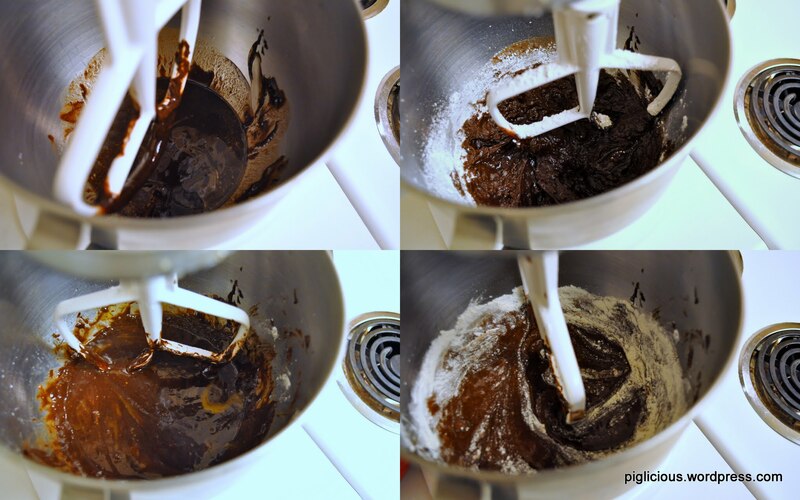 Then whisk until the chocolate is completely melted as well. 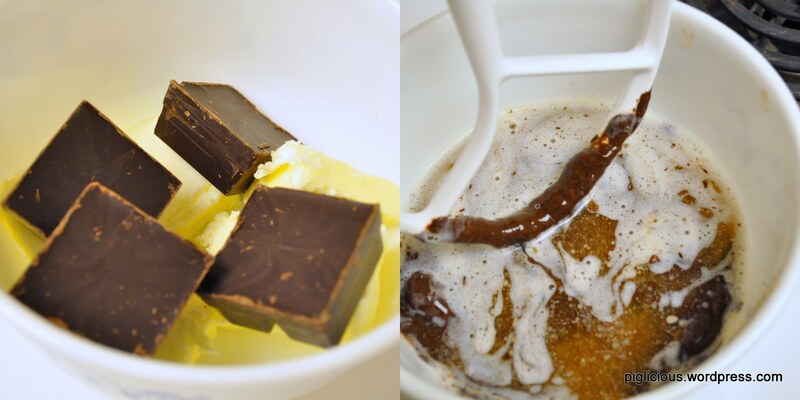 Transfer the chocolate-butter mixture to the mixing bowl and stir in sugar (level 1 on stand mixer) until well blended. 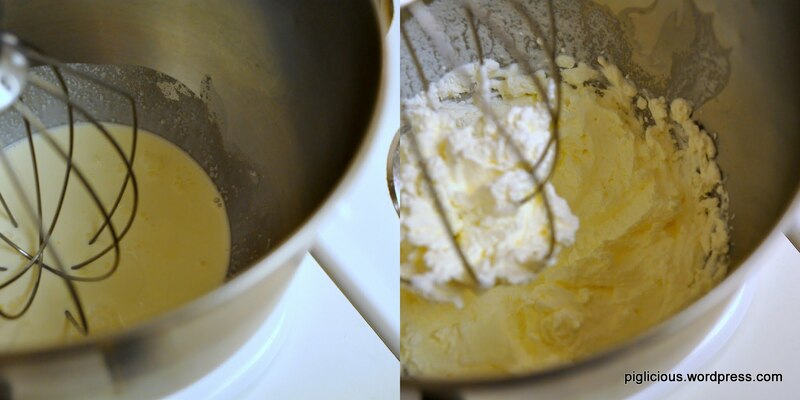 Whisk the eggs and egg yolks in (level 2). Stir in flour (level 1). Stop occasionally to make sure the flour isn’t stuck on the sides. 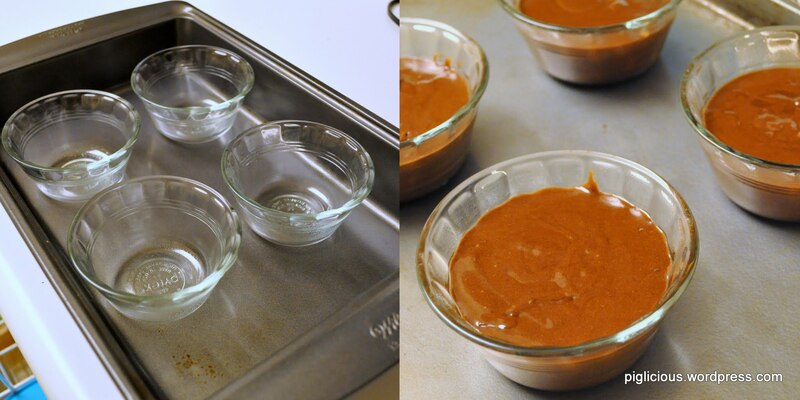 Once the cake mixture ingredients are fully incorporated, prepare the custard cups for baking. If you don’t have Pam spray, like I didn’t, I dropped 1 dot of vegetable oil in each cup. Then I used a small piece of paper towel to spread the oil around the cups. Now, divide the cake mixture between the cups (should be about 2/3 filled). 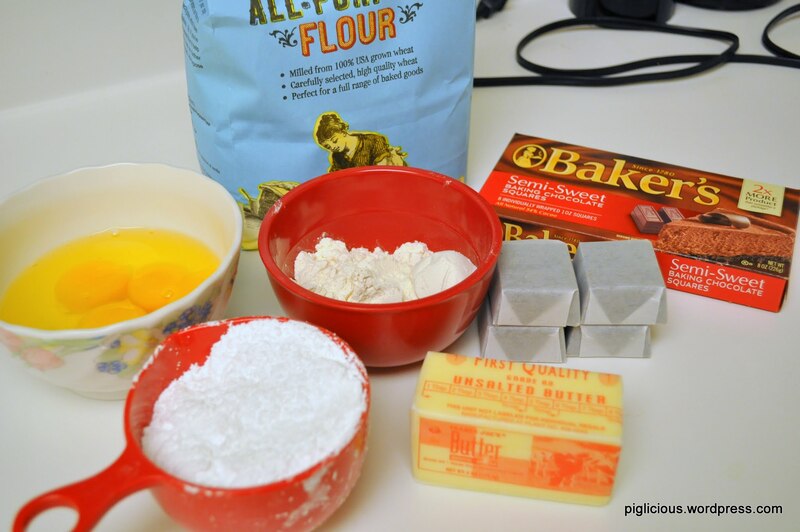 Bake for about 9-11 mins. 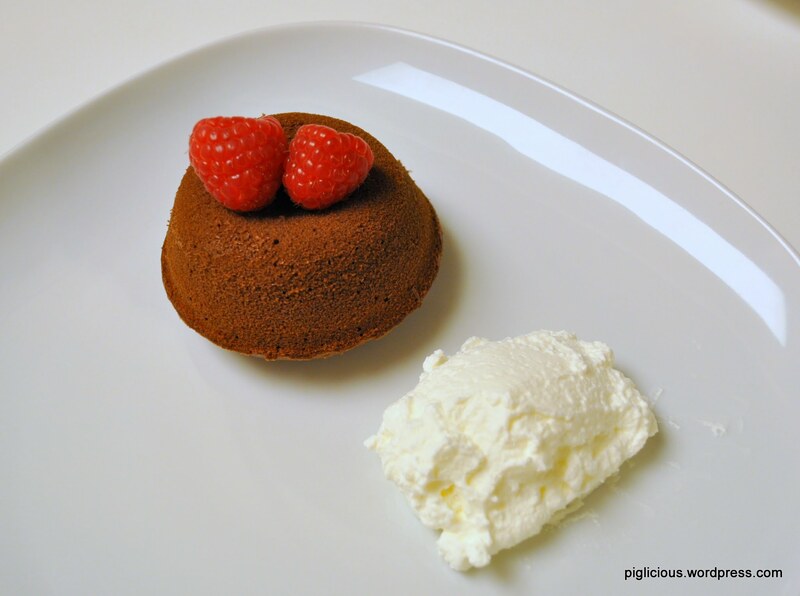 Combine sugar and heavy whipping cream and whip until stiff. 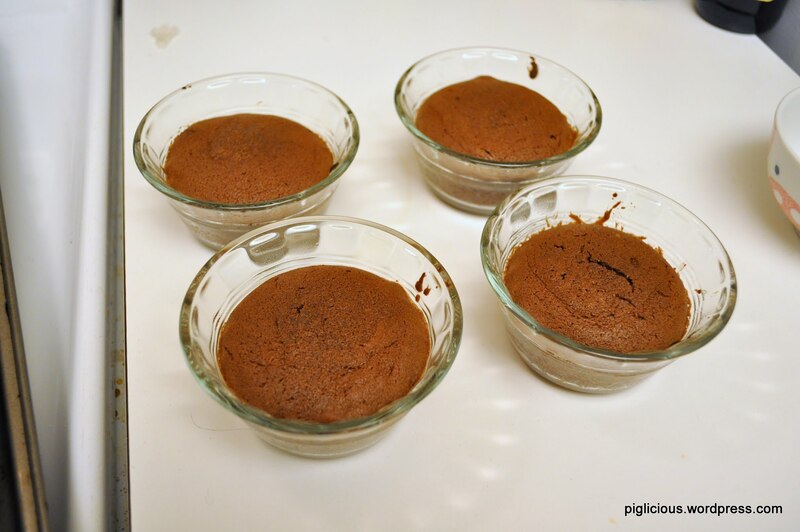 This is how the cakes should look in the cups when they’re done. The cake should not be too cracked at the top and the “lava” should not be slightly oozing out–If this happens, you’ve probably overbaked them (which is what I experienced the first time I baked these).